The following intermediate level reading comprehension exercise focuses on the tourism industry, in particular on vocabulary related to accommodations. Many seasoned tourists find they don't like staying in hotels, and that they prefer to avoid large cities. Does this description fit you? 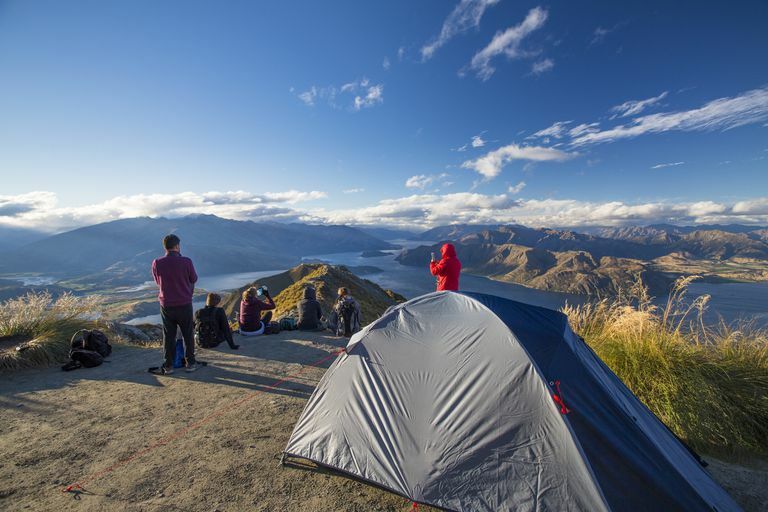 If the answer is yes, The Mountain View Camping Ground is for you. Our camping grounds overlook the spectacular Hampson Valley. We rent tents, bungalows, and roulettes. If DIY yourself is your style bring your own tents or roulettes. All guests enjoy access to cooking facilities, bathrooms with bathing facilities, and a playground for the children. Our panoramic setting offers a wide variety of recreation activities as well as inspiring views of the mountains. Chisom, a quaint summer-resort village, is just 10 minutes by car. Take advantage of the many entertainments, shopping and relaxation opportunities including fitness centers, laundry/valet services, solariums and much more. Have lunch in one of the many restaurants and savor the tasty local cuisine. Mountain View Camping Ground offers fun, relaxation and opportunities for all types of outdoor activities. Call us today to find out how we can make your next holiday perfect. 1. What type of tourist is described at the beginning of the reading? 3. What type of accommodation can you not bring with you? 5. What does Valley View offer besides the inspiring views? 6. Where can tourists try the local cuisine?